I am the queen of negative self-talk and questioning myself. Recently, my sister gave me this to remind myself that I need to believe in myself. 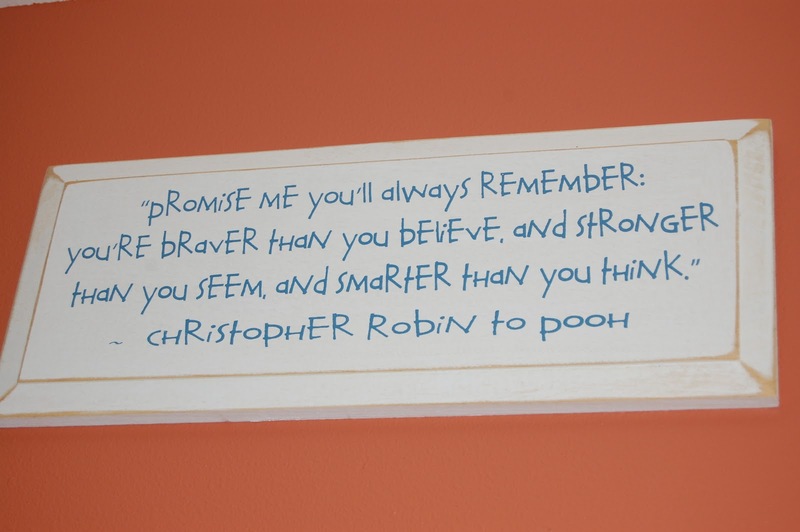 Christopher Robin was sure wise for a boy. I know often I look back and am amazed at what I did - what I do on a daily basis that I never give myself credit for. For this week I make a pledge to remember the wise words of this "boy." How about you? On a related note, the last few months I have spent a great deal of time reflecting and reading. Weekly, and sometimes more often, I find a little "nugget" or saying that I use for a theme for myself. Sometimes I put a post-it on my monitor, or my bathroom mirror, with the little "nugget" to help me digest it. I plan to share some of the better ones, more inspiring ones, here. I hope you don't mind, but I have found that mental training is as important, and sometimes more important, to reach whatever finish line you are approaching. 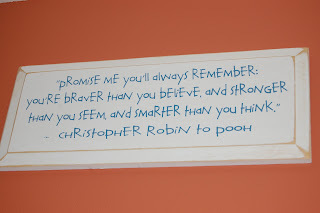 Love being the Christopher to my Pooh! Not so wise, just been there and done that! We all need a post-it-note, a plaque, or even just a gentle nudge once in a while. You inspire ME, little sister; keep going, girl! My Quest for a GOOD Breakfast!